We're halfway there, kids. The weekend is just 2.5 short days away (well, hopefully they're relatively short). Hopefully you're starting to get together plans for those great days off. And more-hopefully, those plans include gaming. I've not fully figured out what I'll be up to. The last two weekends have been rather full, so I might take it easy this weekend. We'll see. But either way, we need to stock up on some bite-size gaming stories. 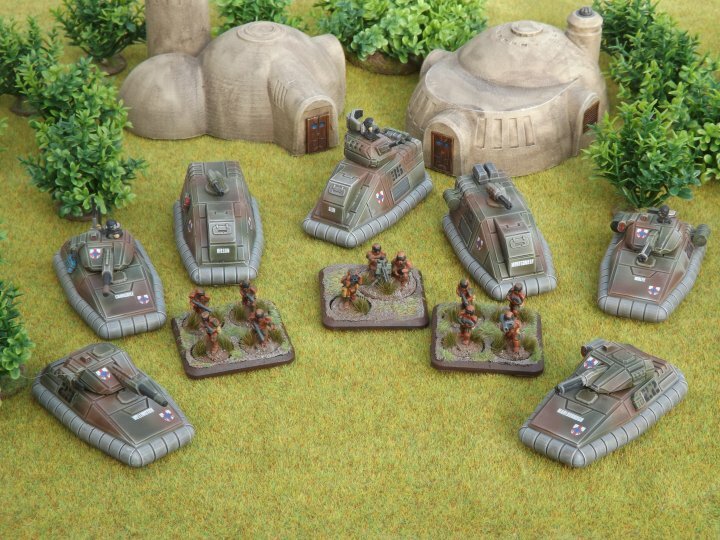 Today on the platter we have: Printable Armies Up On Kickstarter, New 15mm Late Republican Romans From Baueda, Dark Art Studios Launches Devil's Dungeon Nightmare Creatures Kickstarter, Watchful I Studio Announces 28mm Terracotta Army, Corvus Corax Miniatures Live on Kickstarter, and Flatminis releases a second wave of 2D miniatures. Or is it Friday Snippets, because I have the day off tomorrow? (and hopefully you do, too) Either way, it's some bite-sized stories before we have lots more bites tomorrow for Thanksgiving. And yes, I really am as jazzed about the holiday as it seems. Anyway, today's bites include: Lead Adventure Miniatures Release Bruegelburg Knights, Bombshell November Releases Posted, YooAmeGames preview their new card game Madness Skull, New website/store for Imaginative Miniatures, New Statuesque Pulp Alley Pre-Orders, Aegis Studios Releases Character Compendium 1 Under the Hero Kids Compatibility License, Notification of Results for the 2015 Windhammer Prize, Dark Art Studios Launches Forums, Announcing the First Wave of Scenarios for Post Captain, New Windfall Bases Available From Kromlech, Echoes Revealed for Shattered Earth's Humanist Rebellion, Watchful I Studio proudly announces that it will be opening its webstore, Games Workshop Black Friday Deals Coming Soon, and New Hammer's Slammer Detachment Packs From Brigade Models. 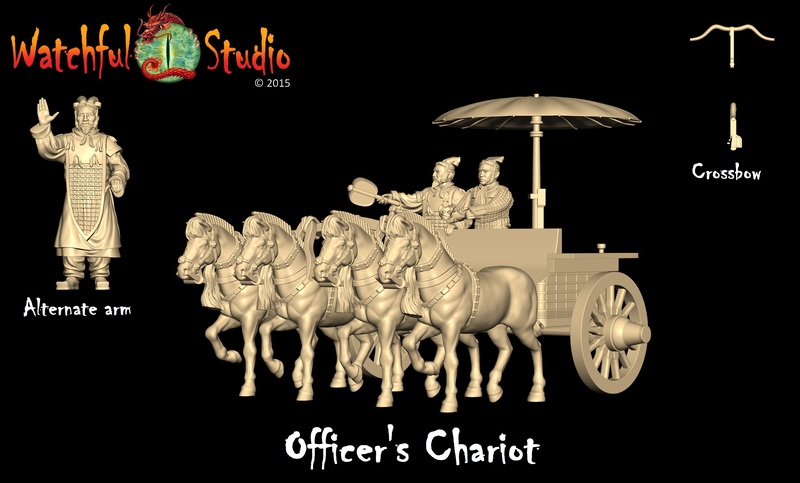 Watchful I Studios has launched their Kickstarter campaign for their 28mm Warring States/Qin Dynasty miniatures. 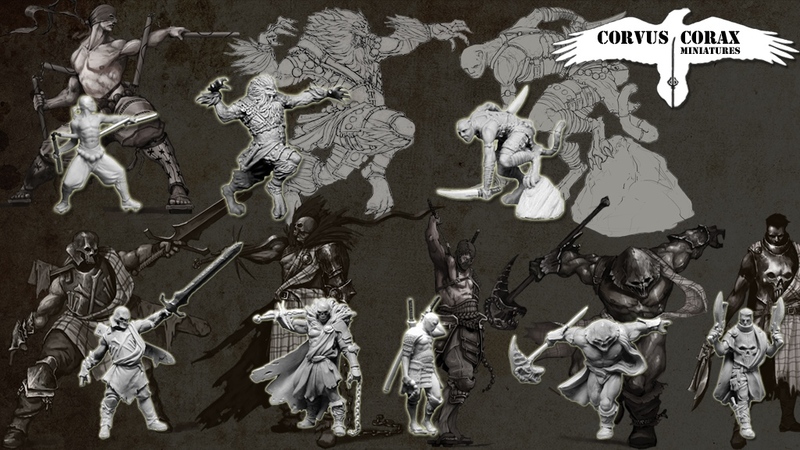 Though most of them are made for historical-style gaming, they also have some demons and fu dogs and such for you Eastern-style-fantasy miniatures gamers. The campaign is 3/5 to their goal with still 29 days left on the clock to get in on the action. For a look into the creation of Watchful I Studios, check out Ravage Magazine US issue 18. Watchful I Studio posted up a bunch more photos of artwork and renders for their upcoming Warring States/Qin Dynasty miniatures they'll be bringing to Kickstarter soon. Not just historical minis, they'll be delving into the lore and mysticism of the far East, with dragons, undead, and kitsune miniatures as well. I've always been a sucker for a good eastern-style dragon mini. 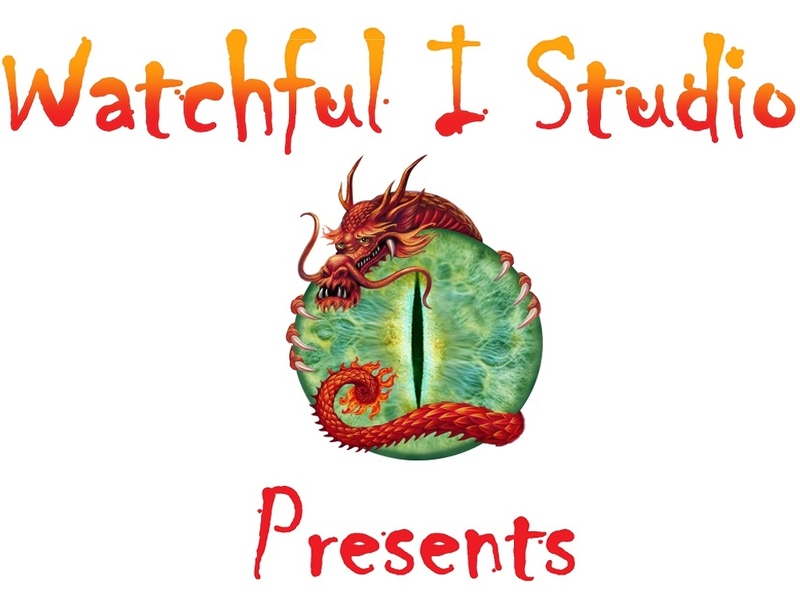 Watchful I Studio is showing off renders for their first-ever minis project. They're working on historical Chinese Warring States and Qin Dynasty Period minis. That period of history has always fascinated me. I took an Eastern Civ. class back during my undergrad days that I absolutely loved. And if the project stays a bit more with the "purely historical" aspects, rather than going into the more "fantasy culture" forms, it'd be pretty unique out there.